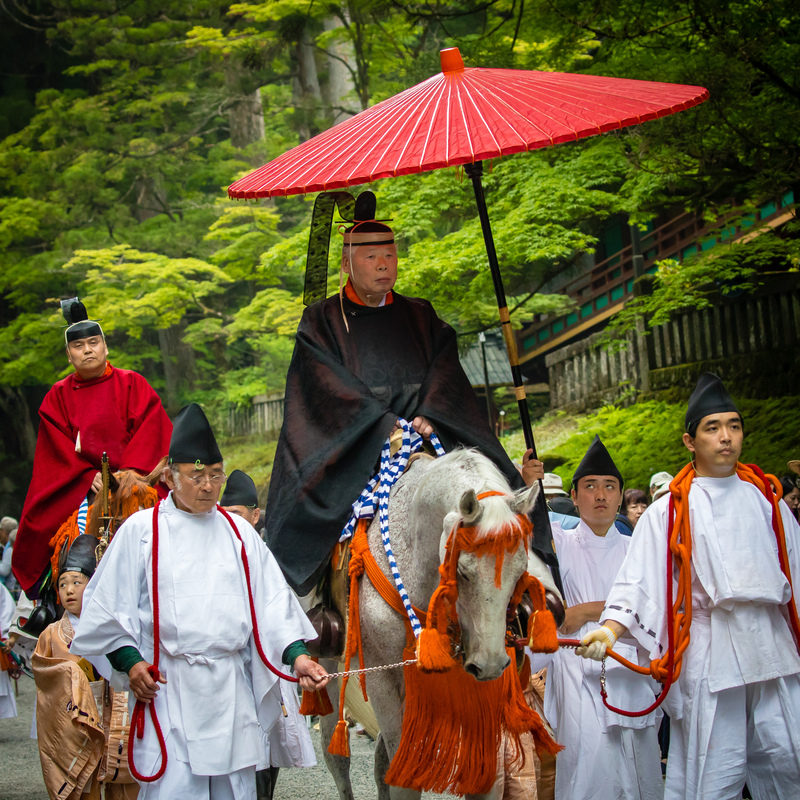 Nikko Grand Procession – Geoff's travel blog – click images for more……..
One of the grand poo-bah’s at the Nikko Grand Procession. 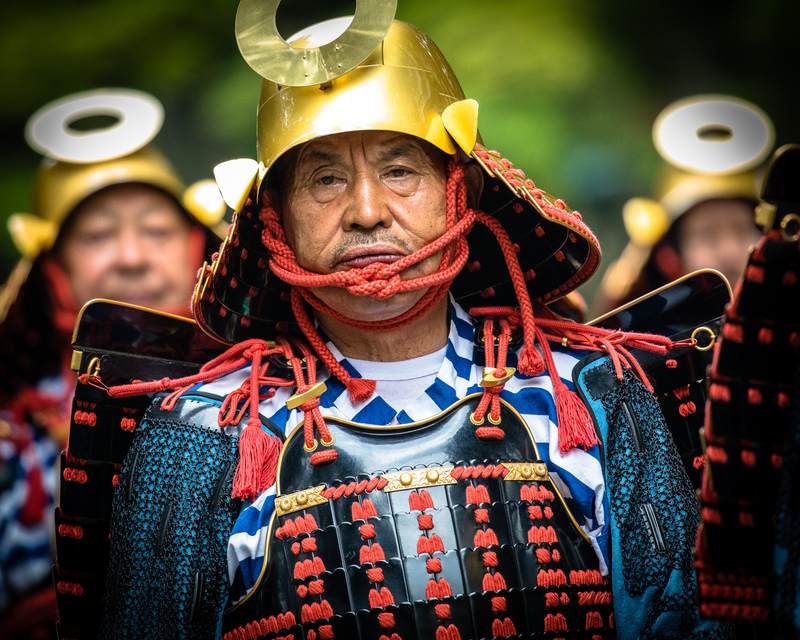 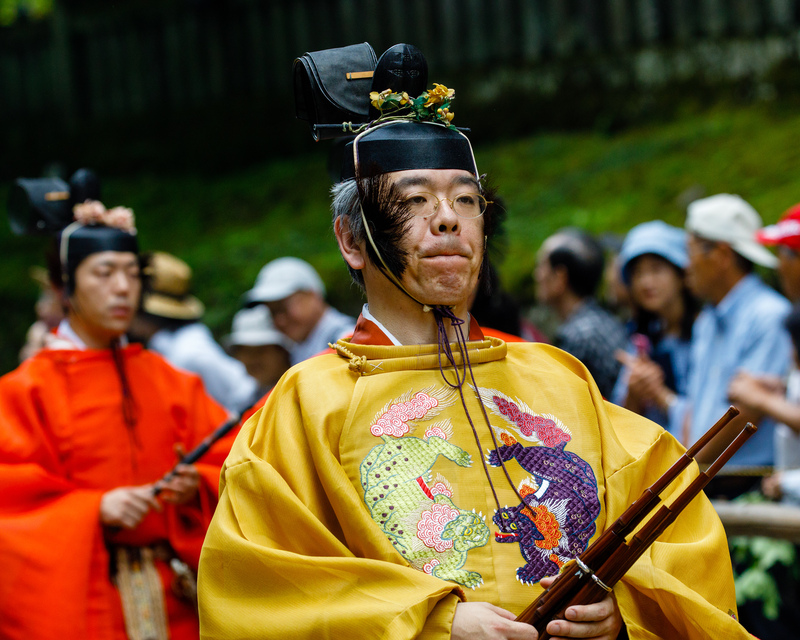 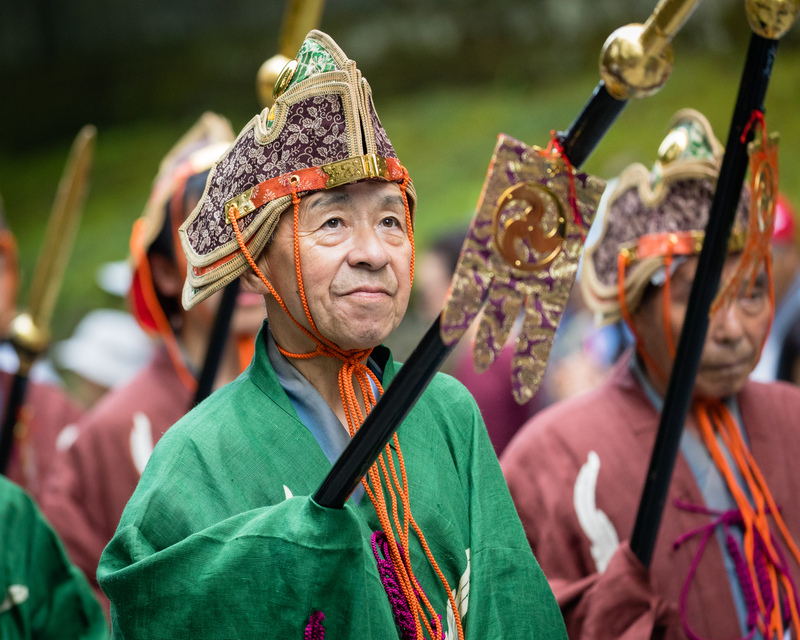 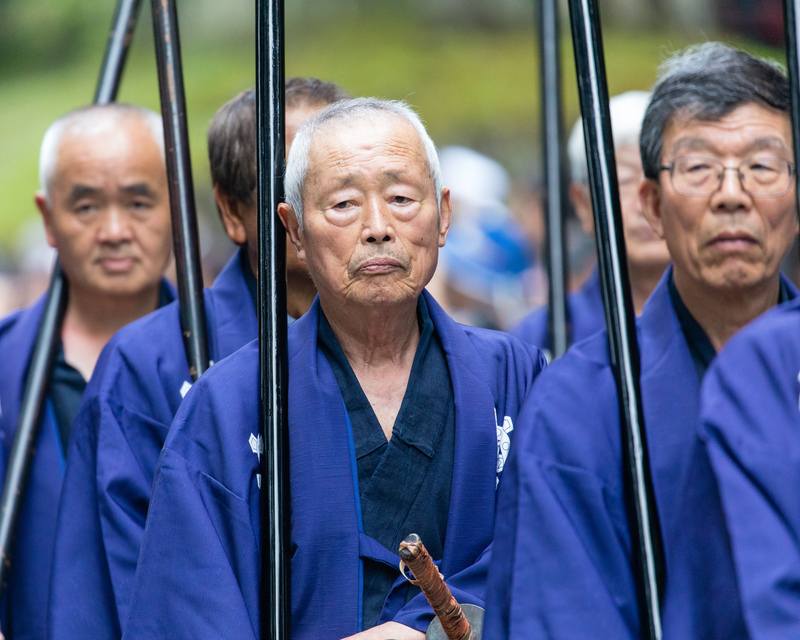 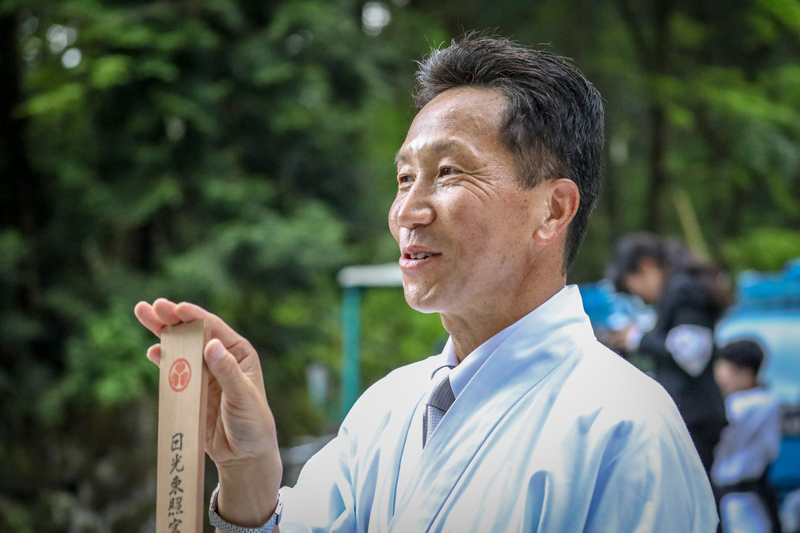 The Grand Procession at Nikko is held to reproduce a stately parade held in 1617 which enshrined the spirit of the first shogun, Tokugawa Ieyasu, who had died the previous year. 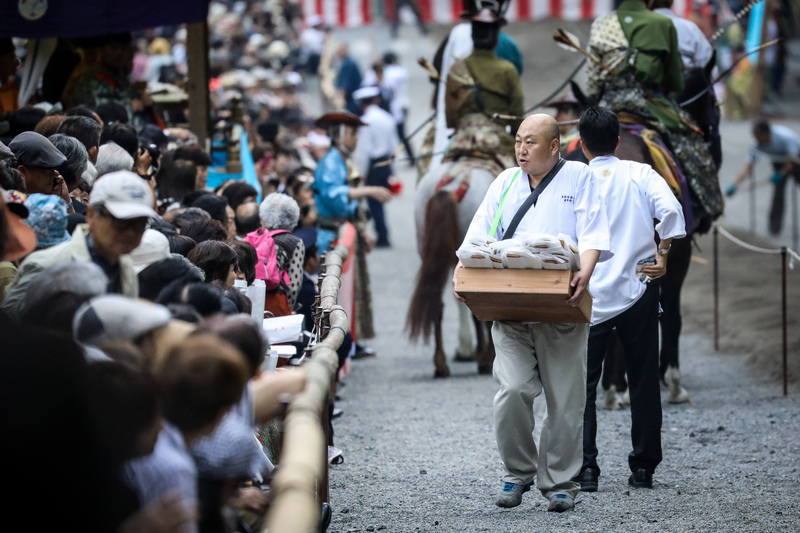 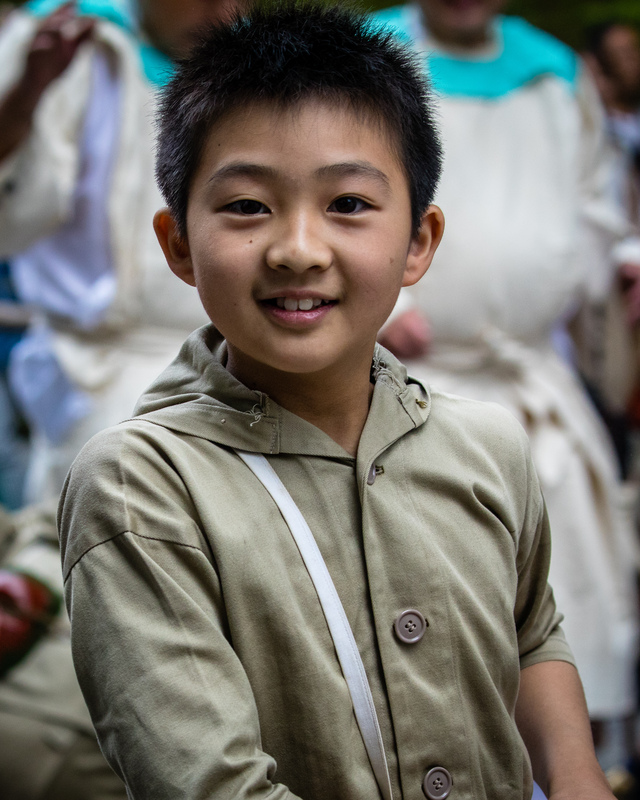 The portable shrines play a prominent role as Shinto followers believe that they serve as the vehicle to transport a deity while moving between a main shrine and temporary shrine during a festival. 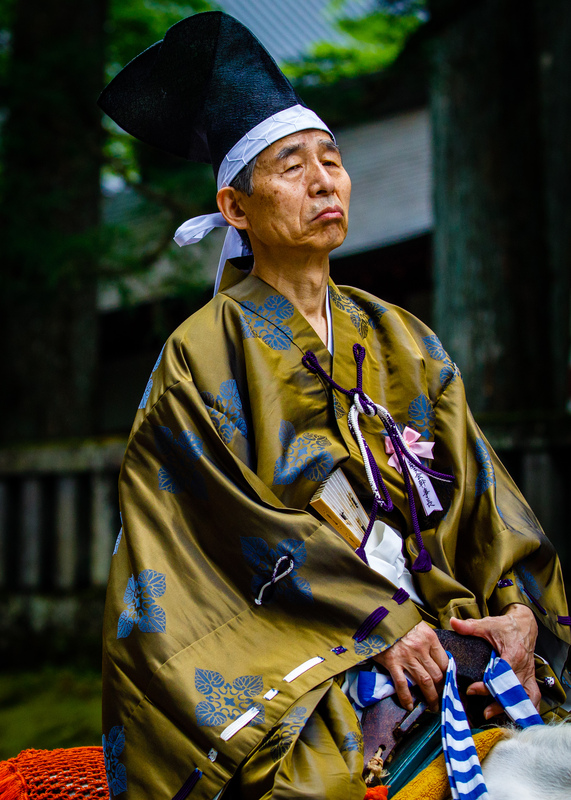 Monkeys were believed to be sacred messengers between gods and humans and therefore good relationships with monkeys were essential. 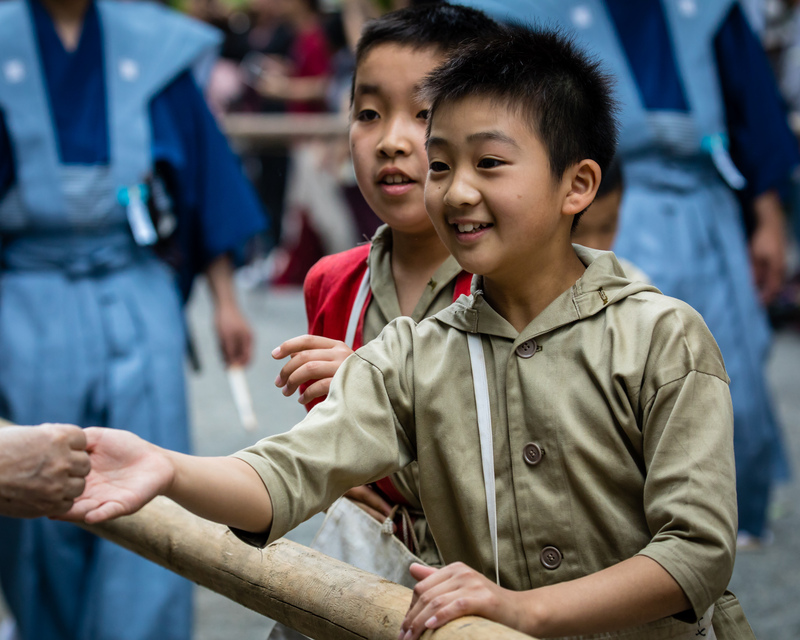 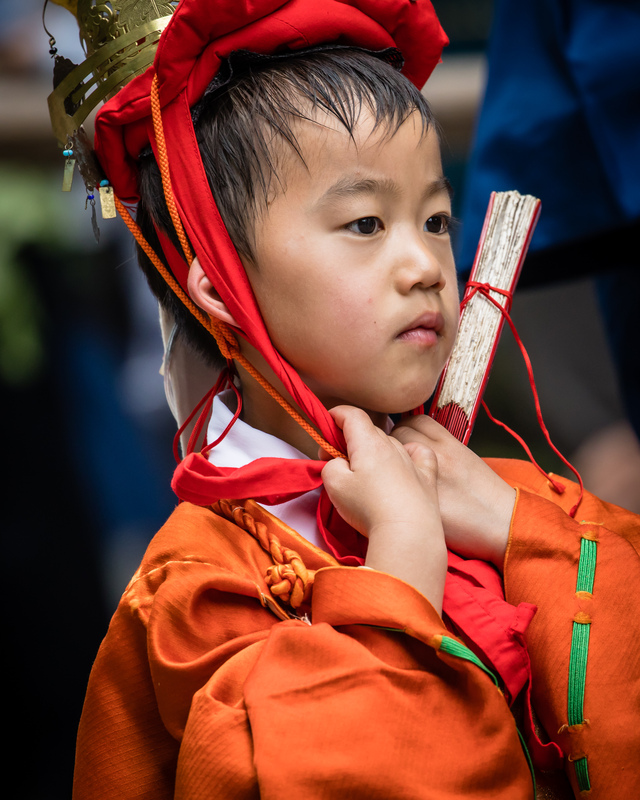 To reflect this old belief, young boys dressed as monkeys wonder within the procession and receive money thrown to them by the crowd.